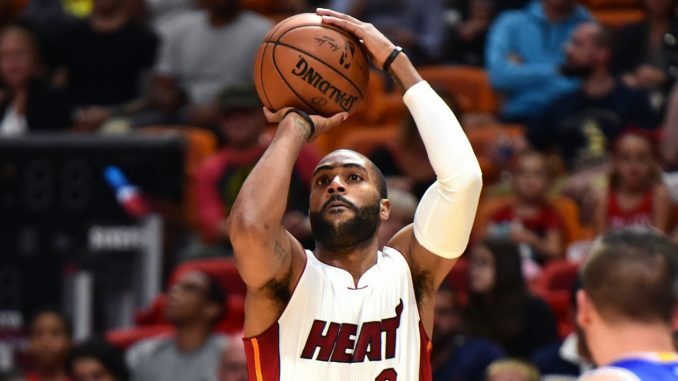 Miami Heat are trading Wayne Ellington and Tyler Johnson to the Phoenix Suns for Ryan Anderson, per John Gambadoro. Ellington is a three-point shooting wing who was considered a major trade asset for Miami ahead of the deadline. Instead of being flipped for future picks to a team like the Lakers or Thunder, he has been sent to Phoenix to rid the Heat of Johnson’s contract. Johnson is owed over $19 million next season, assuming he picks up his player option (which he will). Getting off his money is the motive for Miami here. For Phoenix, they receive Johnson’s money, which they could use as salary to match for a big trade next season when he is expiring. The Suns are not contending this season but will hope to at least be competitive in 2019/20. Using Johnson’s money to add a point guard – perhaps Jrue Holliday if New Orleans blow it up – is an option. Ellington could also be flipped prior to Thursday’s deadline, effectively meaning Phoenix have ‘bought’ any assets they receive for Ellington by taking on Johnson. Plenty of contending teams will be interested in acquiring the 31-year-old veteran as they search for depth for a playoff run. Ellington had a no-trade clause that he opted to waive for this deal to go through. It might not be long before he is the centrepiece of another trade, and Phoenix may well already be answering calls from Magic Johnson and Elton Brand. This deal works for Miami as they aim to lower their payroll and it gives the Suns another route to acquire assets as they look to build around DeAndre Ayton and Devin Booker. It’s a surprise given Miami currently occupy the eight spot in the Eastern Conference, but drastic moves were required for the Heat to change their long-term outlook. The roster with Ellington and Johnson was not winning a playoff series. This change might see them enter the lottery, and that’s not necessarily a bad thing if they cannot live with Toronto or Milwaukee in the playoffs.